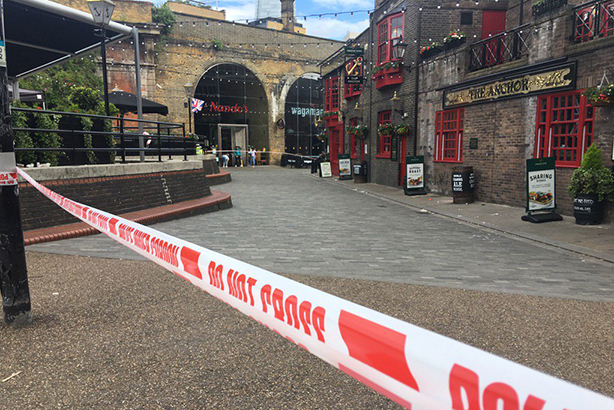 Offices of several PR agencies based near London Bridge and Borough Market are closed this morning after police cordoned off the area following Saturday's terrorist attack. Seven people were killed and dozens injured following the attack, in which a van drive into pedestrians on London Bridge and three men stabbed several people in nearby Borough Market. The three attackers were shot dead by police. The area remained cordoned off on Monday morning, and the market itself will remain closed for a second day. Several roads around the market will remain closed, but others have opened during the morning. Tracey Stapleton, MD of The Spa PR Company on Borough High Street, told PRWeek the agency’s office can not currently be accessed. "I don’t know how long that’s going to be because the police aren’t saying any more at the moment. We understand that they have to do all their forensic work. Obviously are thoughts are more with the people who have been affected by this. "We can work remotely because we’re set up to do that. I gathered my team this morning to have a meeting and then we’ll go our separate ways to work from home, or wherever." Julie Flexen, MD of another local agency Munro & Forster Communications, said: "Words cannot fully express the grief we are feeling and our heartfelt thoughts go out to the victims, their families and everyone affected by this horrific incident." Flexen said the firm was "operating from off-site locations today", explaining: "Our office remains inaccessible as it is at the centre of the crime scene and as advised by the Metropolitan Police we hope to be back on site tomorrow. Meanwhile, we will endeavour to provide business as usual support to our clients." Staff of FieldHouse Associates were also working remotely this morning. The b2b agency is based in the News UK building best known as the home of the Sun and Times newspaper. MD Cordelia Meacher said: "In true British spirit, we are keen to get back to normal as quickly as possible. Our building was understandably in lockdown over the weekend and it is slowly being opened to critical staff members. Whilst we are all working remotely this morning, we are monitoring the situation closely with the Met Police and our building for when we can get back into work. "Our thoughts and prayers are with everyone involved and we feel very lucky that we weren’t on one of our many team nights out in one of the bars where the attacks took place." A News UK spokesman said that having been closed on Sunday, its offices were "fully open" today. Nearby Park Street was not opened to the public until shortly after 9am, meaning that Mongoose Sports & Entertainment staff were working from home first thing. Those that did were unable to approach it from the Borough Market side, and had to take a detour via the river. Speed Communications was formerly based in the same building as its sister company, but its London staff were merged into Mongoose at the start of the year. Mongoose associate director Jo Long-Pockett said: "Mongoose and formerly Speed have been based here for more than three years. We're out drinking in the pubs and eating in the restaurants every week. It's such a tragedy that this has struck in such a wonderful, multicultural part of London." The office of Marlin PR in Stoney Street, which was the scene of stabbing attacks and the police shootings of the terrorists, also remains closed at the time of writing. But independent agency Borough PR said its staff were in the office as normal. It is based to the south of the market. We may be further down the road now but we still stand with you all ???? The chair of the trust that owns the market yesterday expressed his shock, and said: "Borough Market is in the heart of a strong, diverse and creative community, a community that supports each other and will pull together to show solidarity in the face of this callous attack."